Choosing the right type of construction material for the v essel and its components is the key to achieving a high service life of the equipment. At MACH, we can custom fabricate internals to meet the demands of your process. 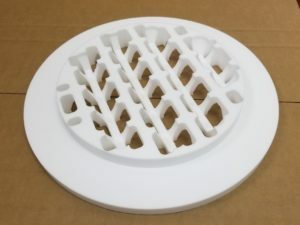 During the maintenance period of one of the vent scrubbers, MACH proposed to replace Monel Internals with the TEFLON™/PTFE Internals. Monel 400 is an amalgamation of Nickel, Copper, and Alloy. It is resistant to corrosion caused by acid, alkalis, and seawater. Thus, it is widely used in the construction of environmental plants, where vessels and its components encounter acids such as sulfuric acid and hydrofluoric acid. However, its ability to withstand corrosion becomes limited in the realm of nitrous acid, nitric oxide, sulfur dioxide, and hypochlorite. After scrutinizing the conditions of the MONEL internals, it became clear that MONEL did not serve well in the conditions present inside the tower. Like Monel, PTFE also offers high chemical resistance but has fewer limitations. 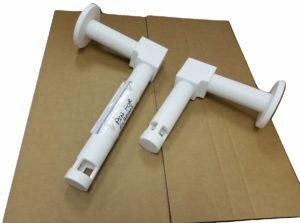 Moreover, PTFE offers greater thermal and mechanical resistance, and its properties maintain usefulness over a wide temperature range of -100 F to 400 F which results in a high service life and low maintenance cost. Along with internals, 12’’ MONTZ Structured Packing, previously installed in this scrubber was replaced with 1’’ Tri-Pack in PFA. The latter is a type of random packing, commonly used in mass transfer applications. 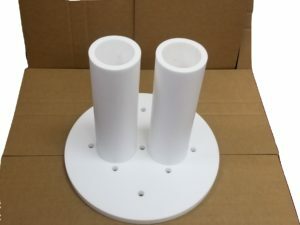 1’’ Tri-Packs is less expensive and offers similar low-pressure drop, compared to structured packing and a reasonable percent flooding based on the process data. While designing new systems or revamping less efficient separation units, it is imperative to carefully analyze the process data or any other requirement specified by the Customer. A proper understanding of the specifications helps us pick the right equipment and the right material of construction to make high -performance unit overall.